Combined heat and power (CHP) systems, also known as cogeneration, generate electricity and useful thermal energy in a single, integrated system. CHP is not a technology, but an approach to applying technologies. Heat that is normally wasted in conventional power generation is recovered as useful energy, which avoids the losses that would otherwise be incurred from separate generation of heat and power. While the conventional method of producing usable heat and power separately has a typical combined efficiency of 45 percent, CHP systems can operate at levels as high as 80 percent. See CHP Fact Sheet for more information. Conventional generation is inherently inefficient, only converting on average about a third of the input fuel's potential energy into usable energy. Engineers have long appreciated the tremendous efficiency opportunity of combining electricity generation with thermal loads in buildings and factories, capturing much of the energy that would otherwise be wasted. When the word "cogeneration" was coined in the 1970s to describe this practice, the dominant configuration of systems was a boiler that generated steam, some of which was used to turn a steam turbine that generated electricity. Due to the cost and complexity of these systems, they were largely confined to systems of over 50 MW, thus precluding their installation at most manufacturing facilities. However, recent advances in electricity-efficient, cost-effective generation technologies—in particular advanced combustion turbines and reciprocating engines—have allowed for new configurations of systems that combine heat and power production, expanding opportunities for these systems and increasing the amount of electricity they can produce. These CHP systems now come in many more configurations, and can even satisfy compressed air requirements by bleeding high-pressure air off the compressor stage of a combustion turbine. New turbines are now cost effective for systems down to 500 kW and reciprocating engines for systems down to 50 kW, dramatically expanding the number of sites where CHP can be installed. In fact, many existing industrial boilers can be re-powered with advanced generation equipment, replacing existing fuel burners and adding electricity generation capability while reducing pollutant emissions. New generations of turbines and reciprocating engines are the result of an intensive collaborative research by government and industry that uses advanced materials and computer-aided design techniques that have dramatically increased equipment efficiency and reliability while reducing costs and pollutant emissions. 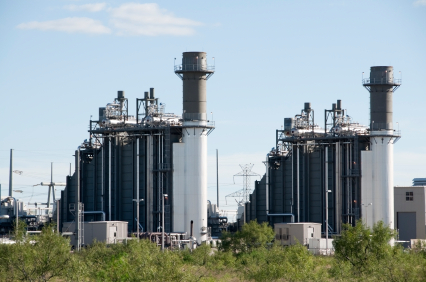 These technologies, applied in CHP, are poised to satisfy a significant portion of the U.S.'s growing electricity needs, while continuing to meet our thermal demands. According to a 2012 joint report from the U.S. Department of Energy and U.S. Environmental Protection Agency (EPA), CHP currently makes up about 8 percent of U.S. total generating capacity. The present installed capacity of CHP in the U.S. is about 82 GW, and the Obama administration has set an official goal of 40 GW of additional CHP capacity by 2020. Additionally, as the U.S. EPA establishes new rules to reduce CO2 from power plants, CHP hasbeen identified as a critical tool to reduce CO2 cost-effectively. Several barriers impede the full realization of the country’s CHP potential. These include electric utility rate structures that discourage utility investment in CHP, a lack of common and fair interconnection andnet metering standards, discriminatory utilitystandby rates, and emissions regulations that do not recognize the improved efficiency and pollution benefits of CHP systems. For two decades ACEEE has been involved in CHP policy in all 50 states. Our seminal CHP publications include a2013 look at how CHP can confer value to electric and natural gas utilities,a 2012 study of how CHP could replace retiring coal plants in select states,2011 assessment of state-level barriers to CHP,2003 five-year retrospective assessment of CHP policies, a 2002 review and a 2003 review of state CHP activities, and a 2001 report on federal tax strategies to encourage the adoption of CHP. ACEEE also regularly tracks CHP-related regulations and policies in the clean distributed generation pages of ourState Energy Efficiency Policy Database and our annualState Energy Efficiency Scorecard. We are also active at the federal level in advocating for sound distributed generation policies. ⇒ Learn about best practices for CHP policies and regulations with ACEEE's State Technical Assistance Toolkit.